When I was a child, I was taken to the amusement park by the parents on weekends. 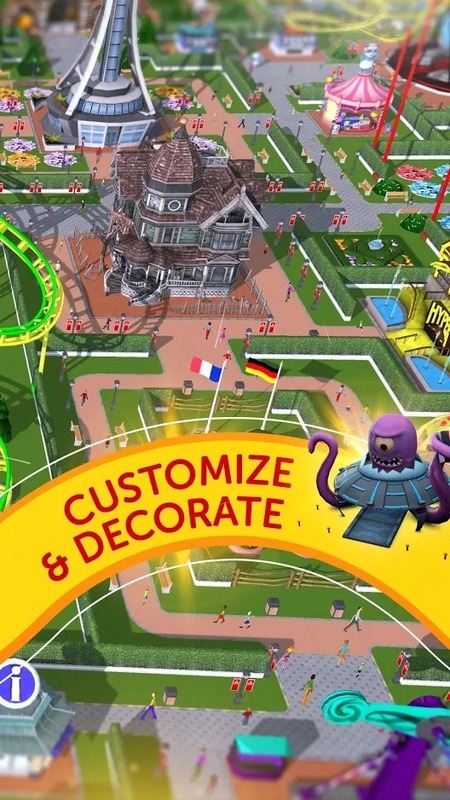 There are lots of fun, games like bumper car, roller coaster, ghost house, riding horse… Have you ever thought you would build your own amusement park? 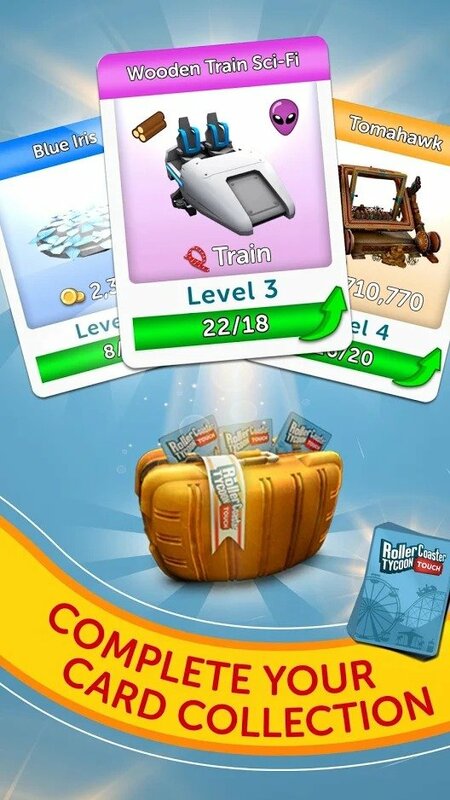 Make your dream come true in RollerCoaster Tycoon Touch (MOD Unlimited Money/Tickets) – the best simulation game of 2017 released by Atari. One day, you realize that the amusement park always crowded on weekends and holidays. Recognize the development of this type of entertainment, you want to build a great amusement park. Starting the game, RollerCoaster Touch Tycoon offers you a large area of land but you have nothing. Your task is to build buildings, play areas and then advertise, attract and serve the people who visit your park. Do not forget to build a restaurant, roller coaster, … to attract a lot of children. You can even create a pirate ship of the Jack Sparrow captain. To build a theme park, you need to pay attention to two important things: cost and space. Your area is limited, so let’s build the works properly. You can expand your park area, but it costs a lot of money. If you feel uncomfortable with some of the buildings, you can destroy them and replace them with a different one. Your money depends on the number of visitors. They visit, purchase, use your services and you will receive money. If visitors are satisfied, they will come back and bring more and more people. In other city building simulator games, you build buildings by dragging structures and dropping them where you want them to. 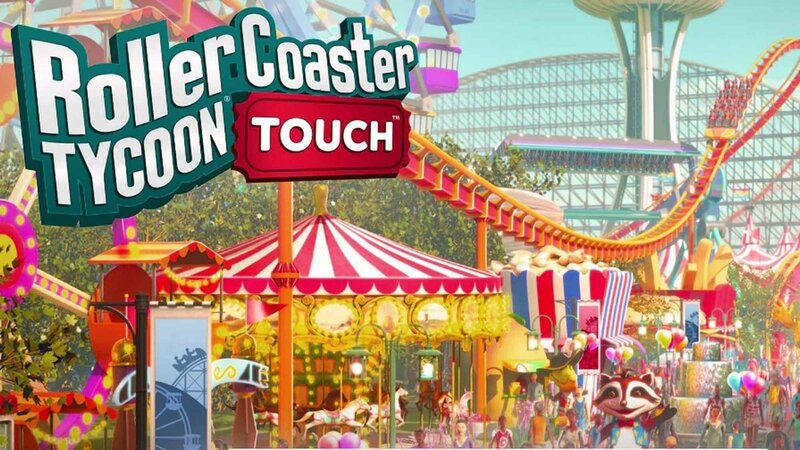 With RollerCoaster Tycoon Touch, when you build a rollercoaster, you use your finger to draw a rail at your discretion instead of using the game’s built-in design. This is a great idea so that players can create a park as they wish. Sure! When your park starts growing and there are a large number of tourists to visit, you can not do all the work yourself. Hire more staff and pay for them. Employees may be responsible for collecting money, selling food, guiding visitors, cleaning the park, repairing machinery, building and more. When tracking tourist satisfaction graphs (as peeps), you can know what needs to be done next. Each visitor’s graph has three columns including Fun, Food, and Hygiene. If your fun rate is too low, add more amusement parks, entertainment areas, etc. If Food rate is low, you need to build more restaurants and fast food outlets. If your hygiene is low, add extra bathrooms and hire more cleaning staff to keep things clean. Touch the Smiley icon at the top to open this chart. Besides, the variety of play areas and food also increases the satisfaction of peeps. So, I think you should build a variety of different restaurants. When building your park, it is best not to build too many roads. The more unnecessary roads will further reduce the satisfaction of visitors. In my opinion, RollerCoaster Touch Tycoon has better graphics than RollerCoaster Tycoon World and its predecessors. 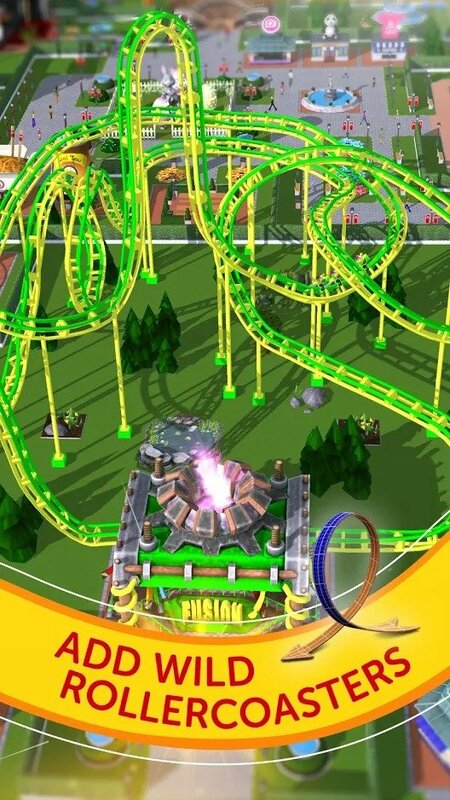 With a top-down view, you can see your entire park with bright colors and sharp images. I can feel the atmosphere of fun, especially the laughter of children. In return, this game requires you to have a highly configurable device if you want the game to run smoother. The construction of an amusement park always makes me feel excited. 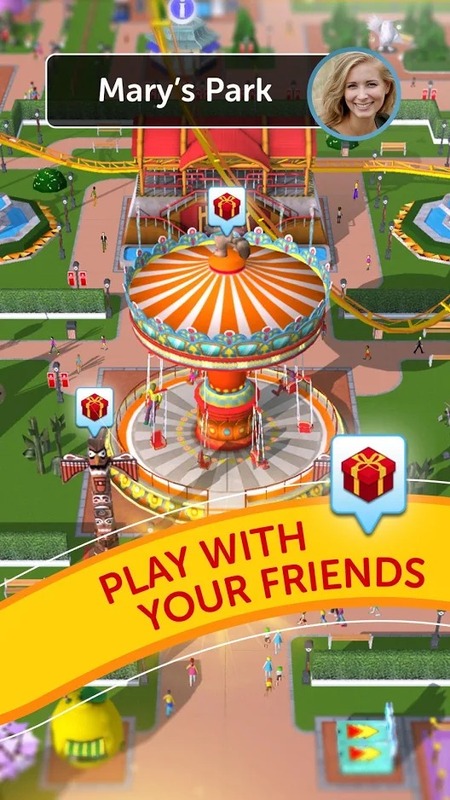 RollerCoaster Tycoon Touch is the best simulation game on mobile, bringing a lot of fun to the players. 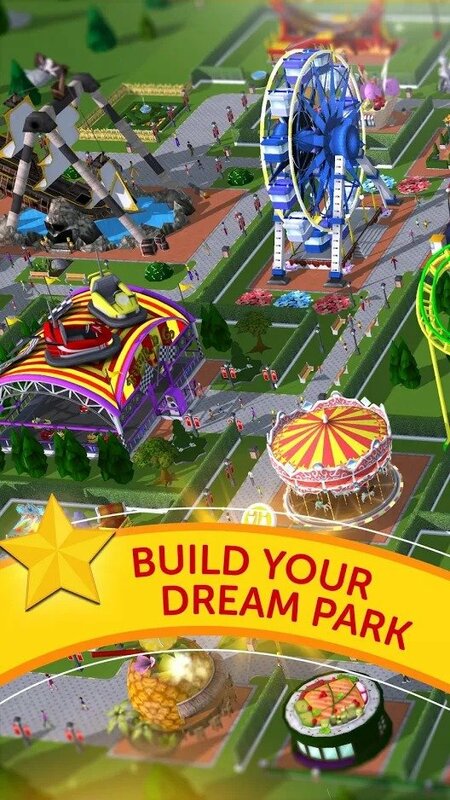 Do you want to build your own amusement park and become a boss?